The Jaswant Sagar dam was built by Maharaja Jaswant Singh in the year 1892. The dam is located in the village of Pichiyak, which is located in between Bhavi and Bilara of the Jodhpur district. The Jaswant Sagar dam is known to be one of the most useful dams in the city of Jodhpur. The dam is one of the main suppliers of water which is used for irrigation purposes in the city of Jodhpur. Most of the green parts of the city receive water from the Jaswant Sagar Dam. In addition to irrigation purposes, the dam is also known to be a popular tourist destination. The place is also popularly known for its attractive boating facilities. The dam provides boating facilities for tourists from round the world. The Jaswant Sagar Dam is also a popular educational spot which is visited by children of various schools and colleges. The Jaswant Sagar Dam has nearly collapsed due to the incessant rains and floods. Nearly forty villages in the areas of Bartala and Barner have been flooded due to destruction of the dam. 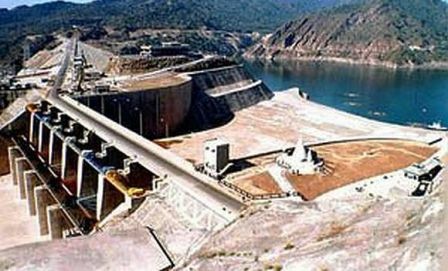 The government has ordered evacuation of the villages near to the dam. With thousands of people affected by the floods, the villages near to the dam are more or less destroyed. The government has sought the assistance of the Indian army to provide relief to the inhabitants of the villages. Package food is being distributed to the villages of the area. The name Kaila Devi National Park has been derived from the local temple which is called, Kaila Devi Temple. The location is situated 25 Kilometers from Karauli city. 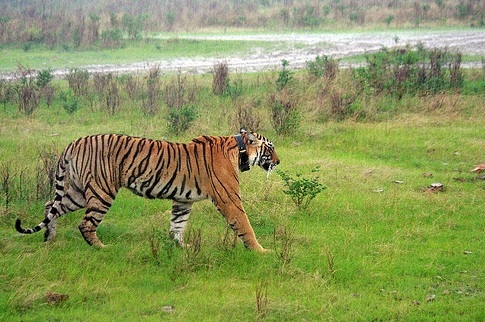 The park forms the part of the project tiger and it’s a buffer zone to Ranthambore National park. Typically the sanctuary has enormous number of Khos or deep gorges, flowing through the terrain. These are many hundred feet deep Khos. Within the Khos one can find very rich and dense forest providing shelter and rest places for large number of wild animals. Kaila Devi Highland forest passes through tremendous changes with the change of season, it attains lush green environment every where on arrival of monsoon season. The ground cover has the appearance of carpet having bright color by the end of monsoon. The forest canopy is mixture of various shades of copper color and it remains predominated up to late winter period. 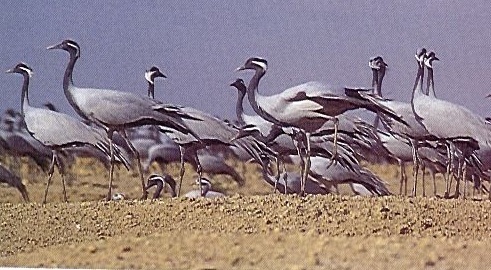 Keoladeo National Park was in the past known as Bharatpur Bird Sanctuary, located at Bharatpur is very famous bird sanctuary known for rare endangered species of birds. Siberian cranes find this place more suitable during their migratory trip in winters. The sanctuary dates back around 250 years and bears the name after Keoldeo temple present within the sanctuary. It happened to be a naturally occurring depression of land which got filled with water flooding after the construction of Ajan Bund by the then king Suraj Mal, who was ruling Bharatpur a princely state. The construction of bund was done where the two river waters of the Gambhir and Banganga merged together.